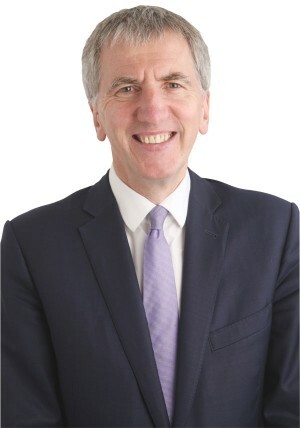 Máirtín Ó Muilleoir is a publisher, entrepreneur and civic leader who sits sits in the Stormont Assembly as the Sinn Féin representative for South Belfast. He is the Sinn Féin candidate for the Westminster election scheduled for May 2015. A tireless advocate for the new and resurgent Belfast, he has launched a series of initiatives designed to showcase the very best of the city including the Aisling Awards. He is chairman of the Belfast Media Group and publisher of the Irish Echo in New York. An Irish speaker, he believes strongly in the promotion of culture as the bedrock of successful and diverse communities. A keen supporter of the arts, he curated the 2012 ‘Tears in Rain’ exhibition of conflict-related art which was accompanied by an essay of the same name published by the Golden Thread Gallery. His latest project was Homecoming, an invitation to the global Irish Diaspora to connect, engage and invest in Belfast. He is Host of the 2015 Belfast Homecoming/An Teacht Abhaile which will take place from 23-26 September. He served as Lord Mayor of Belfast from June 2013-June 2014. Among his awards in 2014 are the Community Relations Council Award for Civic Leadership, the PRIDE Festival Award for Best Political Contribution to the LGBT Community, and the Ancient Order of Hibernians of America JFK Medal, their highest honour. In October, he was named a Paul Harris Fellow by Rotary International for “the furtherance of better understanding and friendly relations among peoples”. A graduate of Queen’s University Belfast, he is married to Helen O’Hare and the couple have four children. Máirtín is a keen marathoner.